Find the endpoints of 100% oxidized and 100% reduced HRP. 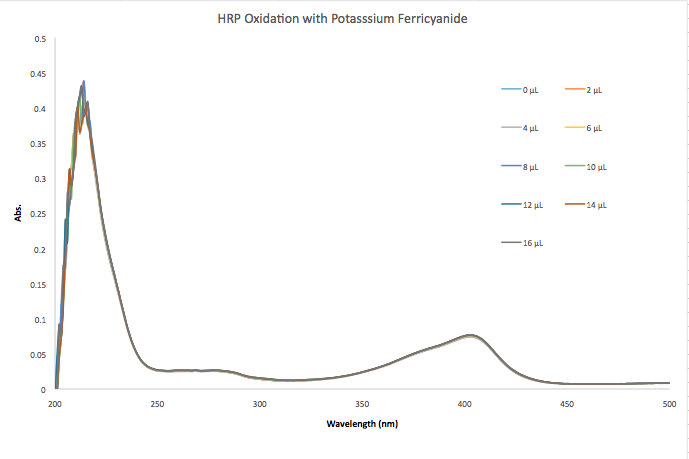 Note: HRP stock is 17.2 mM The oxidation with Potassium Ferricyanide was for the most part oxidized. The little shift occurred after the first adding of Potassium Ferricyanide. This was seen across the entire group data. 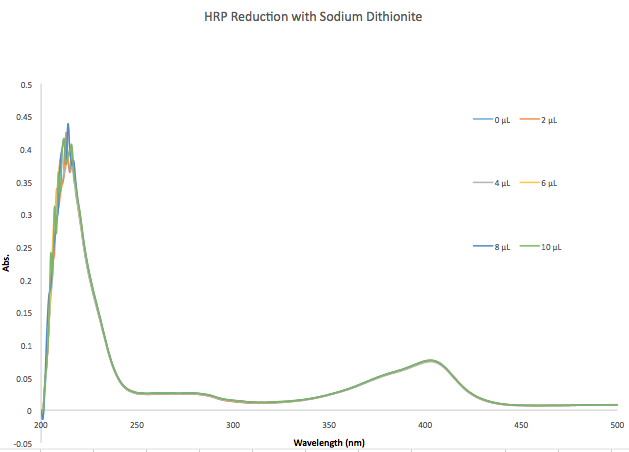 Dr. Harting's was able to determine the reduction through a more concentrated starting amount of sodium dithionite. His procedure for this is here and this will carry us into 9/18/2013. This page was last edited on 26 September 2017, at 23:19.